Recently, one of our neighbors was walking on Mt Davidson. It’s the time of the year when the blackberry bushes bear fruit, to the delight of children and the public in general (and not a few animals and birds). She was unpleasantly surprised to find that the bushes were to be sprayed with herbicide. “It’s the fruiting season!” she noted, wondering if this was legal. Unfortunately, it is. 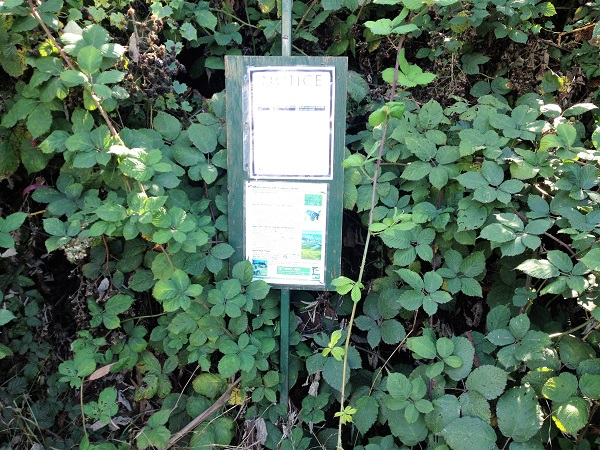 In 2016, SF Environment imposed restrictions on spraying blackberry bushes during the fruiting season. But the way the restrictions are written, they apply only to Tier I (“Most Hazardous”) pesticides and not to the Tier II (“More hazardous”) pesticides that the Natural Resources Division (NRD – formerly Natural Areas Program) also uses quite frequently. The NRD commonly uses “the fearsome four” pesticides: Garlon, Roundup, Milestone VM and Polaris (also called Habitat). All of them are toxic in some degree. The herbicides used in this case are Milestone VM (aminopyralid) and Polaris (Imazapyr). Both are toxic and are classified as “More Hazardous” (Tier II). Imazapyr can damage eyes, and its breakdown product is a neurotoxin, which means it causes nerve damage. Aminopyralid is a newer chemical, but is known to be astonishingly persistent. It’s banned in some places because of that. In 2016, the SF Department of the Environment engaged in a lengthy process of trying to improve its restrictions on some of the most problematic use of pesticides in our parks. ✓ A written recommendation from a licensed Agricultural Pest Control Advisor (PCA) is required for any pesticide use. Departments that do not have PCAs on staff should contact the SF Environment IPM Manager. ✓ Only pesticides on the current SF Reduced Risk Pesticide List may be used. Usage must fall within the “limitations” listed for each product, along with label requirements. Use is prohibited for purely cosmetic purposes. Use is prohibited within 15 feet of designated paths. If a park map exists, designated paths are those found on the maps. Otherwise, designated paths are those actively maintained by staff. Use is prohibited within 15 feet of schools, preschools, playgrounds, or other areas frequented by children. Certain pesticide use is restricted in designated Red-Legged Frog habitat, which includes Golden Gate Park, Lake Merced, and several other areas in San Mateo and Alameda County. Posting for pesticide use must be done 3 days before treatment, and remain up for 4 days after treatment, except for least-hazardous (Tier III) products, which require posting only on the day of treatment. ✓ Postings must clearly identify the area to be treated. Signs should be placed at locations most likely to be seen by members of the public using the treated area. ✓ Posting is not required for median strips or rights-of-way when these areas are not intended for public use. Blue dye must be used, and this must be noted on the posting sign. Blue dye is not required in areas where 1) posting is not required, and 2) staining may occur, such as ornamental stone median strips. When treatment sites that cannot be readily identified by the posting sign alone, a map showing the general location of expected treatment area(s) must be attached to the posting sign. Though the added restrictions in 2016 were a step forward, much more is needed. NRD seems willing to go by the letter of the rules, not the spirit of it. Blackberry should not be treated with persistent herbicides at all, especially not in the fruiting season. It’s going to affect children, wildlife, and anyone who loves picking the berries in season… most parkgoers. San Francisco Forest Alliance stands for Pesticide-Free Parks – including natural areas. Anything we can do about this? I am concerned for the animals.